I also did something that I’d always thought about doing; talking directly to my followers, and anyone else who stumbled on my blog. Those were my least viewed posts, but that’s okay. Views aren’t the reason I do this. Blogging is way too much work to do only for validation from strangers online. 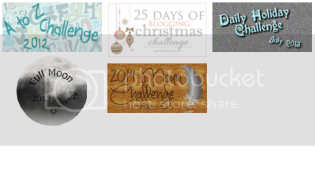 This challenge helped me realize that I blog because I like to. I don’t do it for the views, or any other stats. I take the time to do this because it helps me open my mind, and think about thinks I’d never otherwise bother with. That’s what blogging is to me, and it only took me three years to figure that out. This challenge, while difficult, was rewarding. But most of all, it was fun. Some days I posted something with a lot of thought behind it, that took time to organize and write up. Other days I just typed up my thoughts. And that’s okay. I can’t give quality content everyday and maintain my sanity. For the next year, I plan to post 2-3 times a week. Some posts will be quality posts, others will be just scattered thoughts. Daily blogging is fun, but way too much to handle during the school year. As always, no post is guaranteed during the school year. School comes first, but I am going to try my hardest to keep up with blogging this year. I have a month until school starts, and I will use that time to get into a routine of blogging. This entry was posted in Daily Blogging Challenge July 2015 and tagged blogging, learning, life, postaday.